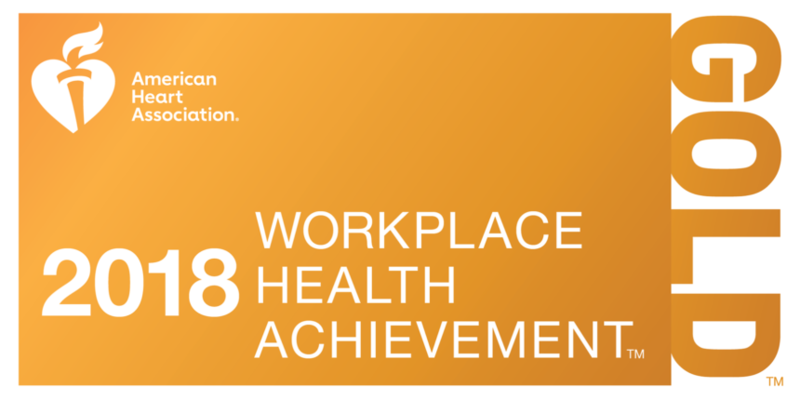 (NEW BEDFORD – August 21, 2018) – Southcoast Health is pleased to announce that it has received Gold level recognition in the American Heart Association 2018 Workplace Health Achievement Index for taking significant steps to build a culture of health in the workplace. More than 1,000 companies completed the Index assessment this year and, of those companies, 75% received either Gold, Silver, or Bronze recognition. Companies receive benchmarking reports, which allow them to identify potential areas of improvement so that they can advance their annual performance and recognition in the Index and help their workforce move toward ideal heart health.